Wireless networks offer many benefits to healthcare organizations. Healthcare professionals can access networks and data from any location using portable devices, without the need to plug in to the network. 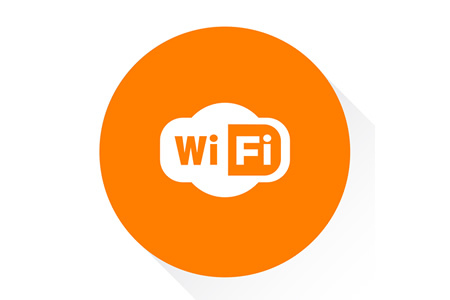 Many medical devices connect wirelessly to WiFi networks improving clinical workflows. However wireless networks can also introduce risks. If any PHI is transmitted over wireless networks, HIPAA requires appropriate controls to be applied to safeguard the confidentiality, integrity and availability of PHI. If WiFi networks lack appropriate security, unauthorized individuals could intercept WiFi packets and view sensitive data, including protected health information. Securing internal WiFi networks is therefore essential. The failure to secure WiFi networks would place an organization at risk of a HIPAA penalty. The risk of a HIPAA violation or data breach is a real concern for healthcare organizations. Security concerns have prevented many hospitals from offering WiFi access to patients, even though offering WiFi can improve the patient experience. Many healthcare organizations that have taken the decision to allow patients access to WiFi networks and have reduced risk by keeping WiFi access for guests totally separate from networks used by hospital staff. While this will allow healthcare organizations to solve some security issues, guest WiFi access can be abused. WiFi networks can be used to view inappropriate material, users face a risk of malware and ransomware infections, and there is potential for man-in-the-middle attacks to occur. Organizations can take steps to secure their WiFi networks to keep users protected and reduce security risks. A WiFi filtering solution is the typical solution to block a wide range of online threats such as phishing attacks, malware and ransomware downloads. Purple, the intelligent spaces company, recently chose a WiFi content filtering solution to ensure its customers and clients were protected. Any users of the secured WiFi network are prevented from accessing malicious websites where malware or ransomware could be downloaded and inappropriate or illegal website content is blocked. Purple used the WebTitan WiFi content filtering solution from TitanHQ to secure its networks and keep its customers protected. James Wood, Head of Integration at Purple said, “We take guest Wi-Fi security seriously so it was important that our customers were protected.” The decision was taken in the wake of recent cyberattacks to improve security for users. While there is no obligation for hospitals to offer a filtered Internet service for guest users, if WiFi access is to be provided, it is now easy to secure those networks and provide a better service, including controls to prevent minors from accessing inappropriate content. If patients are to be offered free or paid internet access in hospitals, those services should include filters to prevent networks from being abused and to ensure the Internet can be accessed safely and securely.